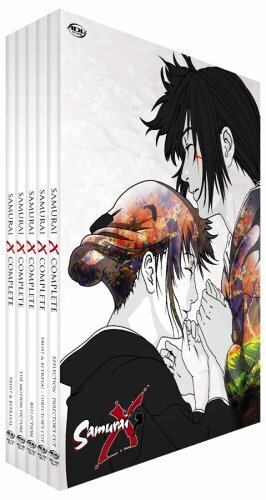 Samurai X - Complete by ADV Films at Chocolate Movie. MPN: DSX/300. Hurry! Limited time offer. Offer valid only while supplies last. Nineteenth century Japan: a land torn by warfare and rebellion, where small bands of soldiers seek to overthrow the tyrannical Tokugawa Shogunate. Nineteenth century Japan: a land torn by warfare and rebellion, where small bands of soldiers seek to overthrow the tyrannical Tokugawa Shogunate. Enter Kenshin, a young orphan whose fighting skills were honed by the great swordsman Hiko. But Kenshin’s soul is embattled much like the killing fields of Japan, with his hopes for a new world peace at odds with his life of blood and killing.